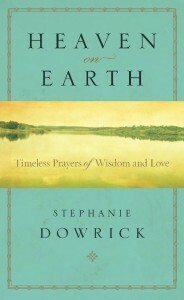 Dowrick is a sage who has brought a spiritual sensibility to a broad readership. Dowrick is the consummate intellectual explorer… a woman of our times who has emerged from her own experiences and battles with a very definite sense of purpose. Stephanie Dowrick’s writing and career are characterised by motifs of renewal and re-imagining…[she] is an ideal reader – open, creative, patient and sometimes sceptical. Her greatest asset is her own very distinctive voice, a clarity and directness of address which creates an immediate empathy with the reader. An original, powerful mind… she challenges people to have an interior life and to be introspective. And she does it in a thoroughly non-sentimental, pro-active fashion. Like the great sages, Dowrick is aware that the progress from denial to understanding is a lengthy one, and that true wisdom comes from experiencing all that life can bring, and reflecting deeply upon it. Dowrick furnishes new seekers as well as seasoned believers with a refreshing approach to contemporary spirituality…Through thoughtful observations and compelling stories, Dowrick models for the reader an effective way to consider the journey toward love of others and of self.